Saving Lives is a UK-based charity registered with the Charity Commission (number 1144855). We exist to combat stigma and promote testing for HIV, Hepatitis B and C and other Sexually Transmitted Infections. Our core team is based in Birmingham, but our activities have spread across the UK. 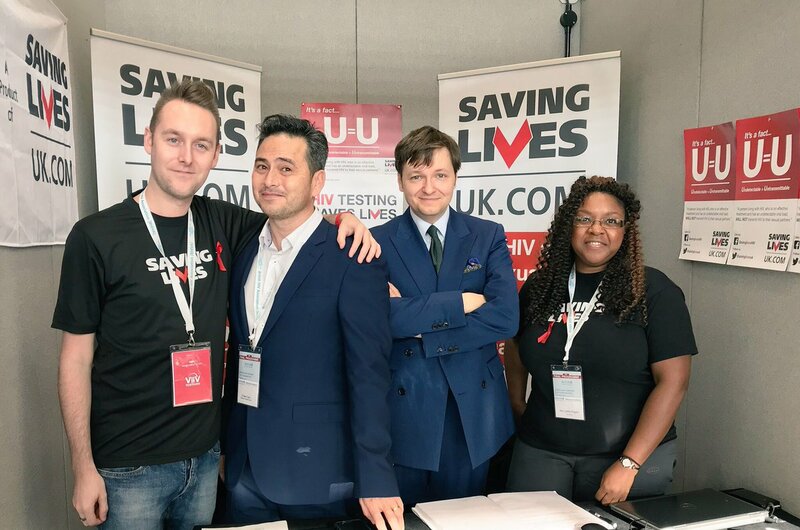 We work in partnership with local NHS organisations to deliver eye-catching, fresh and innovative health promotion campaigns that focus on encouraging people to think again about HIV and other related conditions. Using bold imagery and photography, the power of celebrity endorsement and non-judgemental, inclusive language, we break down the barriers between individuals and communities. Prejudice powers poor health outcomes, and we have found that our campaigns can persuade people to take a test more effectively than traditional health promotion materials. We offer many of our graphics and messaging free of charge to NHS organisations and others. We aim to communicate about HIV and related issues to an audience not ordinarily reached by these messages. Our media campaigning has seen us featured in The Sun, The Daily Express, The Guardian, BBC Radio 1 Newsbeat, BBC News, and more. We have also launched a postal testing service for the NHS, FreeTestUK, and another open to the public, TakeATestUK, in an attempt to increase and improve variety of access to testing. Our Trustees are Ms Sandra Chidzomba, Professor Simon Collinson, Mr Daniel Hartland (Director of Operations), Professor Rusi Jaspal, Mr Tom Hayes, Professor Clive Loveday, Revd Dr Catherine Okoronkwo and Dr Steve Taylor (Medical Director). You can contact us here.